After spending his first two years of college studying agricultural business at Sheridan College, Brett finished his undergraduate at New Mexico State University. As business had always peaked his interest, Brett went on to further his education by getting his Masters degree in business administration. While in New Mexico Brett initiated his first successful business startup, which is still running and profitable. 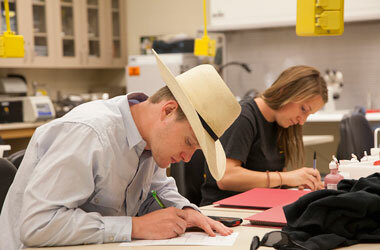 Brett incorporates practical application in the classroom to help students better understand how the material they are learning will be useful in their future as agriculturalists.